For another year, thousands of children will be ready for school year. For parents, August usually means getting their children ready for back-to-school. Unfortunately, increased expenses impose additional hardship for needy families in Montreal. In order to help them, Sun Youth distributed new clothing in adult sizes on August 14th and 15th to help youngsters go back to school in style. 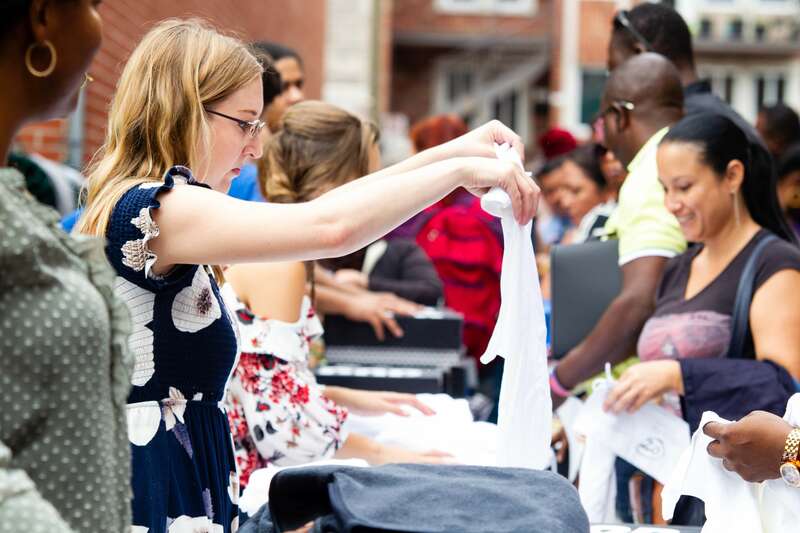 By the end of this annual operation, over 3600 people shared some 18,000 pieces of clothing, many now able to use the money they saved to pay for other necessities such as school supplies. This represents a considerable increase over last year as in 2017, 2200 were assisted by Sun Youth in this manner. For Sun Youth, taking care of parents means contributing to a better future for the whole family.The organization can count on the generous donations of new clothing from VF Imagewear Canada Inc., L’équipe Spectra, L’Aubainerie, Gottex, Green Jeans, The North Face Canada, Reitmans and Giant Tiger. Sun Youth wishes to express its sincere thanks. This initiative is part of the many efforts put forth by the organization to support underprivileged families before school starts. At the beginning of August 1000 children received school supplies from Sun Youth to better equip them for back to school, an assistance valued at $80,000. Sun Youth wishes to encourage the public and companies to continue organizing school supplies drives for the organization, many underprivileged families still needing assistance. In total, some 3,600 people have received new clothing and will be able to use the money they have saved to pay for other necessities such as school supplies.